Departement of Vaucluse - Pop. : 10,000 h.
Situated 20 km north-east of Avignon and 5 km south-east of Carpentras via the D942. 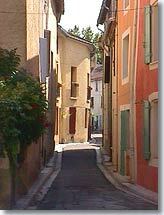 Monteux is a large village which spreads across the fertile plain surrounding Carpentras. 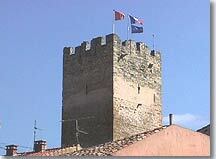 The centre of the old village of Monteux is concentrated inside its 14th century fortified ramparts. 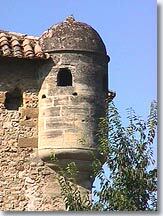 You'll enter the village through the Neuve gate or the Avignon gate which are all that remain of its ramparts. Then you can ramble through the streets and alleyways of the ancient village. 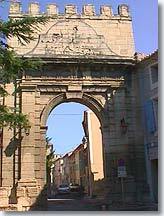 The Neuve gate is listed as a historic monument. In the 14th century it was used by members of the parish council who dispensed justice. It leads to Rue Gaston Gonnet where there are still a few shops that liven up the old quarter. Close by, you will see the Gothic church of Notre Dame de Nazareth. It underwent restoration recently and is listed as a historic monument. The more curious visitors can walk along the right side of the church to the Clementine tower. It is twenty-eight metres high and overlooks the village. This square tower was the dungeon of the Chateau de Monteux erected in the 12th century , which was one of the residences used by Pope Clement V. It is the only building to have survived a fire in 1415. 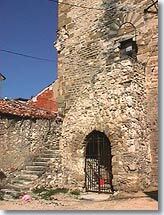 The visit will come to an end at the Orange gate which opens onto the thoroughfare encircling the village. If you feel like a snack or a cool drink you will find cafés and restaurants here. 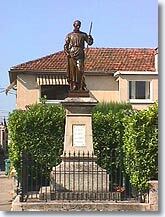 Up to the 19th century Monteux was mainly an agricultural market town. A few farmers have managed to withstand the competition and on market day offer quality fruit and vegetables from the region. Tomatoes, melons, strawberries, apples, peaches, leeks and sweet peppers are still very tasty around here...! Monteux is also very well known for the quality of its firework display. Each year for the festival of Saint Jean (the last weekend in August), you will be able to admire a magnificent pyrotechnic show lasting 45 minutes; the only one of its kind in France. It is worth noting that the famous Ruggieri company (Number 1 fireworks manufacturer) is located in Monteux. Ever since the middle of the 19th century, a large proportion of the local population has been employed by the Ruggieri company. This activity that has made Monteux the fireworks capital. The gates of the 14th century ramparts. The Clementine tower (dungeon) and the Gothic church. The chapel of the Black Penitents. The fountains. The market on Wednesday and Saturday morning. 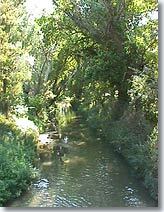 Loriol/Comtat (4 km), Carpentras (5 km), Pernes/Fontaines (6 km), Althen/Paluds (7 km).